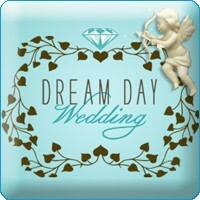 So, if you have extra time on your hands or you want to play “Wedding Planner for the Day”, try your hand at the Dream Day Wedding computer game. Part adventure game, part virtual Martha Stewart…you seek out all the aspects of your best friend “Jenny”s wedding and even have to deal with some wedding planning crisis along the way! You also get to “decide” how the couple met, what they did on their first date and how the proposal went! As you discover, there are so many decisions to be made when planning for your big day. This can be made even more stressful when you are planning a destination wedding, have less than a year to plan or your dream venue is already booked! What you will usually find is that most of the decisions in wedding planning usually affect each other — talk about a domino effect! For example, your parents are very keen on inviting Aunt Josephine * and her large family of seven and they accepted even before you had a chance to think about it with your fiance! Now, with the additional seven people, that means that you need an additional table at the venue, another centerpiece, another linen set, out of town accomodations, and oh yeah, how many favors?! Whew! Are you exhausted, overwhelmed or tired just from reading that?! Fortunately for me, I love those types of crises and that’s what you hire me for! I will get that all under control, smoothly and confidentely. See! If you have the right wedding coordinator, planning your wedding is so much more fun! *Name is entirely fictional…just fyi!